Logitech's new K600 TV Wireless Keyboard with Touchpad and D-Pad make it easier to find programs, surf the web or play games on your smart TV. How many times have you tried to find a program on your local cable system using your remote control? Or tried searching for movies on Netflix using your Amazon Fire TV remote? The remotes are not designed for you to input a name of a program or movie, but they are good for turning your system on/off or the TV's volume. Today, Logitech brings a new solution to make this easier for smart TV owners. Welcome, the Logitech® K600 TV Keyboard with Integrated Touchpad and D-Pad, a versatile all-in-one keyboard that unlocks the full computing capabilities of the TV. This new wireless keyboard makes it easy for consumers to search for content on their TV or streaming media services. It also helps you navigate menus and the web on your smart TV. "Finding web content and navigating menus on your Smart TV can be a chore," said Art O'Gnimh, global head of keyboards at Logitech. "The Logitech K600 TV Keyboard provides familiar text typing and cursor control, making it easier than ever to interact with and unlock the full potential of your Smart TV." The K600 TV Keyboard has a familiar key layout, is quiet, and comfortable to type on. It features an always-in-reach touchpad and D-pad so you have the tools you need to navigate, select and control your favorite apps and web pages. The K600 TV Keyboard is designed to blend into your living room decor with its curved shape, so you can store it face down on any table. It sits comfortably in your lap while typing and is slim and light enough to hold for easy two-hand navigation. The dedicated media and navigation keys, such as the home key and volume buttons, let you perform remote-control-like actions, so you can relax and enjoy your entertainment effortlessly from the couch. With a 15-meter wireless range and 12-month battery life, the K600 TV Keyboard provides a reliable connection with no drop-outs, even in the largest living rooms. It's designed to work with select smart TV models from Samsung, LG and Sony BRAVIA compatible with select Toshiba and Insignia TVs powered by Fire TV and works with Windows PCs, Mac, and iOS or Android mobile devices. We encourage you to check k600setup.logi.com to check TV compatibility. The keyboard also includes Logitech Easy-SwitchTM , making it easy to curate your entertainment from multiple sources with the tap of a button whether you want to type on a Smart TV, PC or mobile device. The K600 TV Keyboard is expected to be available in October 2018 at Logitech.com and select retail stores for a suggested retail price of $79.99. For more information, please visit Logitech.com, our blog or connect with us on Facebook, Instagram and Twitter. 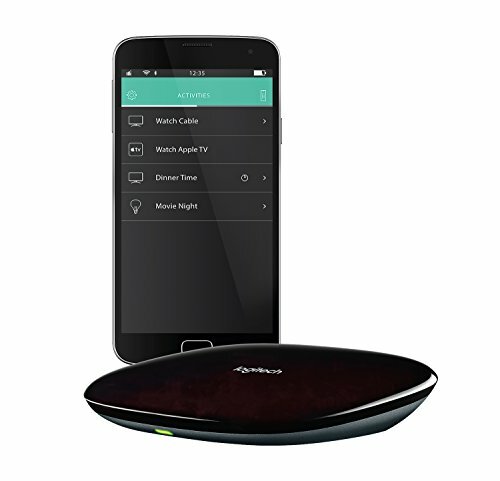 GearBrain is glad to see a connected device come to market to help solve a simple but painful process of searching for programs or games on your smart TV. We look forward to testing the new Logitech K600 TV Keyboard over the next few weeks. We will put this new wireless keyboard into a real-life home environment to see how it performs in solving this problem for many TV viewers. If you can't wait, feel free to visit Logitech's website (www.logitech.com) or their company blog for more information on this new wireless keyboard and see how it can relieve you of the pain of navigating menus and searching for shows on your smart TV.